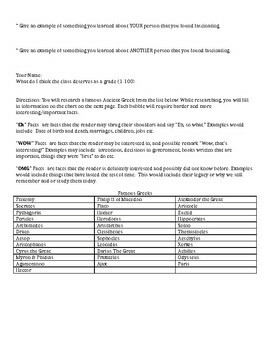 This research assignment of famous ancient Greeks is designed to show students how much ancient Greece influenced our daily lives even today. 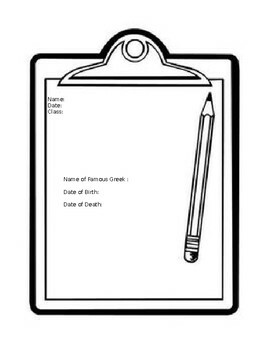 The assignments includes directions, rubric for grading, a student self assessment and teacher model. 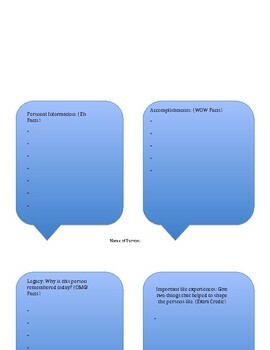 In addition it includes the research handout for the students.